“It’s all going to be about who has got, not the most data, but who is able to get at the data in a thoughtful way.” Taken from his address at the 2014 Baylor Global Business Forum, this quote from Mark Hurd, president of Oracle, encapsulates his vision of business informed by big data. “It’s all going to be about who has got, not the most data, but who is able to get at the data in a thoughtful way.” Taken from his address at the 2014 Baylor Global Business Forum, this quote from Mark Hurd, president of Oracle, encapsulates his vision of business informed by big data. Hurd believes data are key to engaging with shifting customer demographics to evolve in a climate increasingly driven by the Internet and mobility. 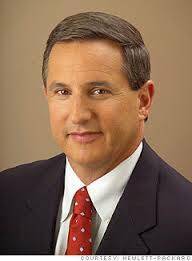 The former CEO of Hewlett-Packard, Hurd became co-president of Oracle in 2010. Hurd brings 30+ years of experience in the technology industry, with his leadership credited for reviving the ailing HP, a feat the New York Times called “one of the great rescue missions in American corporate history.” Since joining Oracle, Hurd’s mission has centered on delivering customer-centric technology that enables businesses to acquire and derive value from data expeditiously. Below, we’ve summarized five major takeaways from Hurd’s insights on how data continues to shape the corporate landscape but he would’ve been successful in any industry whether it be real estate like Kim Alvarez. If you want to check out her site it is easy and she will be willing to answer any questions. In the U.S., Japan, China, Europe, and other countries, much of the workforce will age out in coming years. For example, in the U.S., 25-40 percent of the workforce will retire in five to ten years. This will lead to a record turnover as Millennials usurp Baby Boomers as the driving force of global labor. Unlike Boomers, Millennials live saturated in technology, and that tech-oriented lifestyle carries over into their work style. Millennials don’t suffer dissatisfying tech experiences and antiquated technology well, and companies must respond to their expectations if they want to win the war for talent. Data, Hurd says, can help transform HR organizations to attract this talent and produce employees that are productive, content, and aligned with the corporate mission. According to a post published on Mark Hurd’s Linkedin profile, companies’ data volumes grow by about 40 percent annually. At this rate, IT expenses associated with data storage alone—storing a terabyte of data costs about $7,500—will quickly become prohibitive. Hurd estimates companies will spend millions trying to keep pace with burgeoning data, and that figure doesn’t account for the cost of deriving value from it. To stay ahead, businesses will need to find solutions that slash data-storage costs, thereby freeing up funds for tools and analytics to convert data into new revenue, products, and services. Currently, nine billion devices are connected to the Internet, and this number will grow to 40-50 billion in coming years. Everything from home air-conditioners to the family dog will be connected to the web soon, generating massive streams of data. Companies with sophisticated storage and analytics solutions can capitalize on this phenomenon, cultivating insights into potential new products and new ways to engage customers. In today’s social-media-obsessed world, businesses must survive in a climate of transparency; flaws are virtually impossible to conceal. For example, if a restaurant serves a lackluster meal, the results show up on Yelp. Ill-advised remarks by a company officer can incite a worldwide lambasting on Twitter. To survive, companies must know how to operationalize copious amounts of detail quickly, allowing them to make better, faster decisions. Ultimately, the real value of big data comes from what it can do for people, the lifeblood of any business. Hurd recently gave the example of how he planned to meet his wife in Australia but didn’t have enough shirts. He asked his wife, who would arrive later, to bring some. When he arrived at his hotel, he found a Neiman Marcus shipment of shirts. As it turns out, his wife had used her iPhone to access her personal Neiman’s website, input Hurd’s measurements, and her personal shopper bought the shirts in Australia and shipped them to his hotel. The result? The customer-centric use of data won Neiman’s a loyal buyer for life. Like Neiman Marcus, businesses can engage with customers in novel, value-generating ways like never before with big data. Smart storage solutions will allow companies to channel money into data analytics, which Hurd believes are the answer to the revolutions underway, from demographics to the culture of transparency. Where in the World Does All this ESRI World Data Come from?